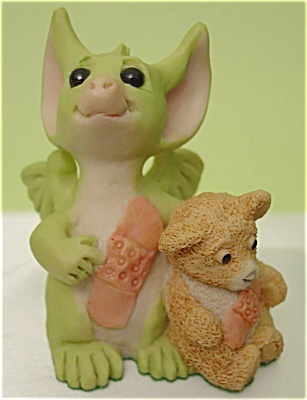 This little dragon has a boo-boo, but never fear, both he and teddy were very brave! Just look at their matching bandages. Box has noticable wear and the lid has two tears along the closing flap.